Occasionally, we are dealing with software installation from source code by running configure, make, and make-install. When we do it that way, we can not reverse the process (uninstall) it. To overcome that issue, we can build the source code into DEB Package. If you don’t have time to do all of this stuff, or if this is not your area of expertise, we offer a service to build DEB Package from source code, starting from $5 (Paypal payment). Please contact us to get a best deal! 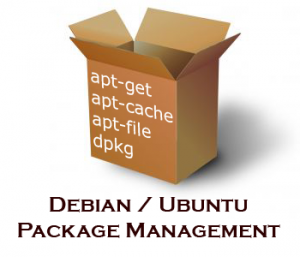 Related Posts of "Create Ubuntu DEB Package from source code (.tar.gz, .tgz)"